For a year or so, my dad held a position at a Nursing Home near our house in Greenwood. I was in year 7 at the time, and had to take public transport home, which involved catching two busses. But some days, generally once a week, I would get to catch the bus, and stop in at my dad’s work. I really looked forward to these days. It may seem odd for a year 7 student to look forward to getting to spend an afternoon at a nursing home, but I really enjoyed it. While I was there, one of the jobs they would get me to do was to help serve the residents dinner. For those that weren’t able to head to the dining room, I would take around their dinner and jugs of water to their rooms. And I loved being able to help out in that way. But I think the bigger attraction for me was that once all of the dinners were served, and the rest of the residents were in the dining room having their dinner, I would get to play on the snooker table. I would play by myself, trying to see the highest score I could get, seeing how many I could sink in a row before missing. I would play until my dad was ready to head home, and I had the greatest fun. One of the things I especially liked doing was practicing the break. 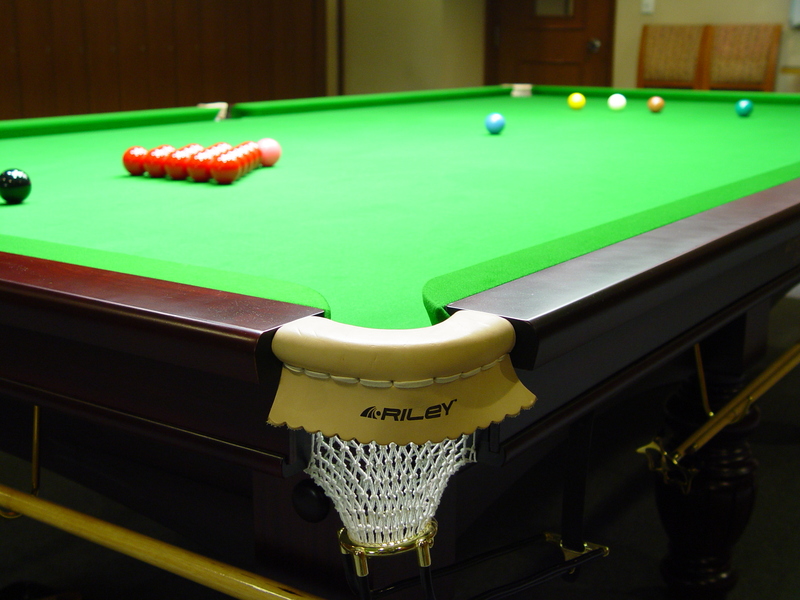 I tried to perfect where I needed to place the cue ball, where I needed to hit on the triangle, with how much force, so that whenever I broke, I could immediately sink one of the red balls. But I could place the ball in the right spot every time, I could aim at the right spot, I could use exactly the right amount of force, but if I didn’t hit the cue ball in exactly the right spot, then I would have no chance of sinking a red ball. I needed to ensure that my connection to the cue ball was right. 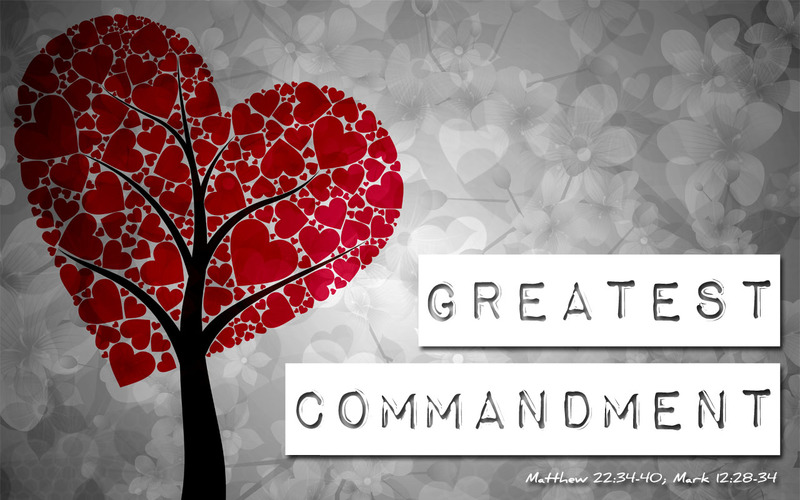 Greatest Commandment – Love God, but how? In our reading today, we hear Christ tell the lawyer, one of the Pharisees, what the two greatest commandments are. Now, this was a fairly common question amongst the pharisees. In Jesus day, there were 613 commands. That’s 248 positive commands, one for each part of the body, and 365 negative commands, one for each day of the year. 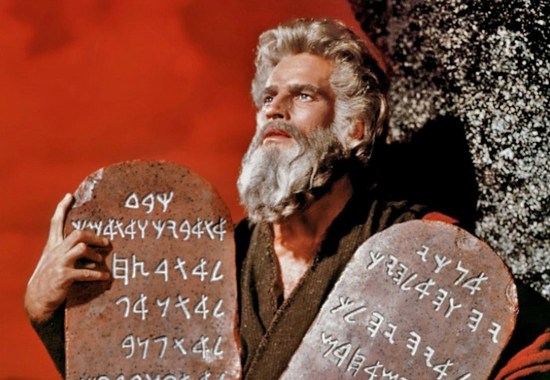 And Rabbi’s would often be asked this question as a kind of thought experiment – with no real correct answer because they held that each of the commands were equal, and no commandment could be greater than any other commandment. And often these discussions would be more theoretical – in that they might discuss the ideas, but not have any practical application for people’s lives. It was a discussion to be held in the Synagogue that wouldn’t ever be lived out in the streets. But Jesus decided to turn all of this on its head. With an ancient Jewish creed, “Love the Lord your God with all your heart, and with all your soul, and with all your mind.” And then he added a command, taken from later in Leviticus – “You shall love your neighbour as yourself.” And in this, he takes this theoretical head debate, and makes it incredibly practical. In much the same way that I needed to hit the cue ball exactly right first, Jesus says that we must love God with everything we have as the greatest and first commandment. 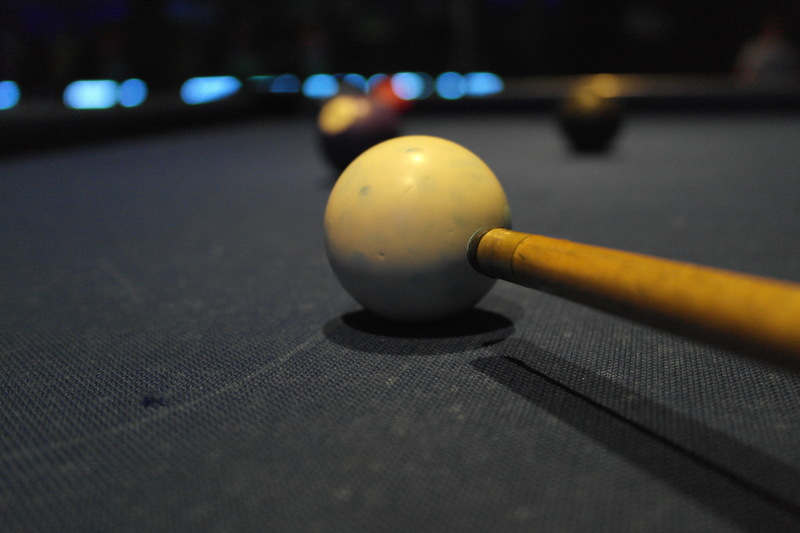 That is, we must love God in the same way that we must hit the cue ball right. If we do that first, we have a chance. Mess it up, and we have no chance. Jesus quotes from Deuteronomy chapter 6, just after we find the ten commandments. And this commandment is written in a slightly different way. The Ten Commandments are mostly negative commands – You shall not do this, you shall not do that. But this command is positive – You Shall love the Lord your God with all your heart and with all your soul and with all your might. The Israelite people were told to recite this day and night, to talk about it to their children, and to put it everywhere so that they would never forget these words. And they are important words and we should never forget them. However, the command – while positive in nature – isn’t exactly very practical. A while ago, I was challenged on the need to ensure that I say to my wife that I love her. Because, if I don’t tell her, does she know? Sure, she may think that I love her, but I don’t do the outward signs of love – by saying that I love her, by doing things that show my love to her, then eventually she might start to question that. So I set myself an alarm on my watch – a silent alarm, that would go off every day at 3:08pm and would be a reminder for me to tell her that I love her. Why 3:08? Well, her birthday is the 15th of August, or the 15th of the 8th. So I tell her that I love her every day at 15:08. Took her a little while to pick that one up. But this is important – if I was to just say that I love her, but not do anything else, then she might start to question the sincerity of my words. It’s easy for us to tell God that we love him. But in the end, it is a bit of a theoretical concept – we can’t see God, we can’t hold God, we can’t do the things that we would show our loved ones that we love them. All we can do is say that we love God. Greatest Commandment – Love Others, but how? You shall not take vengeance or bear a grudge against any of your people, but you shall love your neighbor as yourself: I am the LORD. Now the NRSV uses this word alien, which is a good translation, but the hebrew word used is “gur”, which is the root of our english word, Stranger. So we have this idea of loving our neighbour, and also loving the stranger, coming through in this scripture. And this is really the practical application of the first command. What is the greatest command? Love God with everything that you have. How are we do show God love? By loving our neighbour as ourself. By loving the stranger as ourself. How do we know this to be true? We love God by keeping God’s commandments. We show God our love for him by loving our neighbour, and by loving the stranger – by loving everyone we come in contact with. Now that’s all good and well, but it’s still a little bit on the theoretical side of things. How do we actually show love? What does loving our neighbour mean? Well, for the answer to this, let me turn to Paul, and 1 Corinthians 13. Now Paul was writing to the church at Corinth, a community that was having a hard time sticking together, and was also exploring the spiritual gifts such as talking in tongues, prophetic giftings, knowing “mysteries” etc. And Paul writes to them and tells them that these things aren’t bad but if you don’t have love, it’s worthless. And then he gets practical: we lose a bit in the translation but verses 4-8a all pair the word “love” with active verbs. A better translation would be: “Love shows patience, love acts with kindness.” It is a busy, active love, a practical love, that always finds a way to express itself for the good of others. It isn’t some abstract, theoretical concept, but a practical explanation of what love does, and what love does to our neighbour. It’s not always easy, it’s not always clean. In fact sometimes, it’s messy. We love, knowing only in part. We love, prophesying only in part. We love, looking in a mirror dimly. But it is in loving that all these things will be fully known. So what is the greatest command of all? To Love God with everything that we have. How do we do that? By loving our neighbour as ourselves. How do we do that? By showing patience, acting kindly, never being envious, or boastful, or arrogant, or rude, non insisting on our own way or being irritable or resentful, by rejoicing in the truth and bearing all things, believing all things, hoping in all things, enduring all things, and never ending. This busy love towards our neighbour, towards the stranger, is how we show God that we love him. We do this because we love God. So if you love God, then go and do it. Previous Previous post: Whose Image?